Home › Linguistics › Five languages in five days? 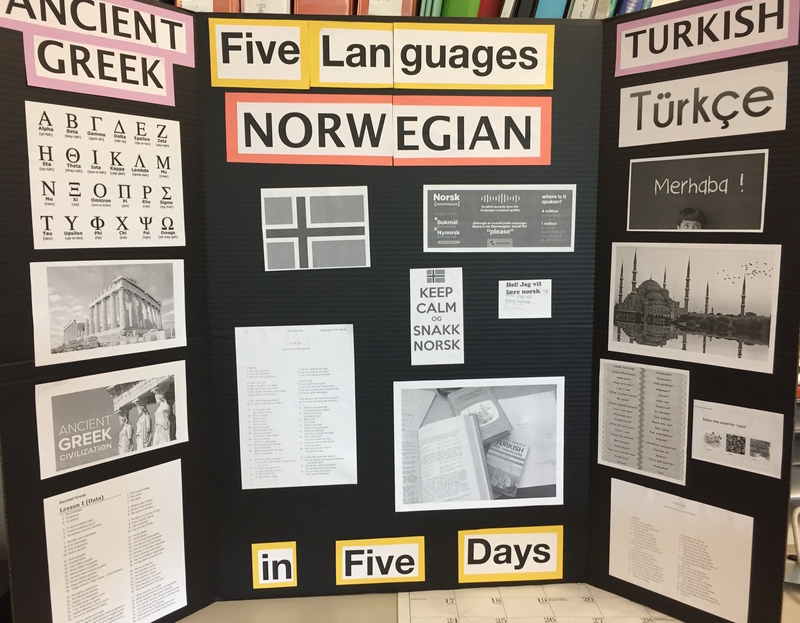 Five languages in five days? “Five languages in five days” is the name of the four-day course I have just finished teaching. Yes, you heard me: despite the name, it’s a four-day course. “Then I ought to have said ‘That’s what the song is called?’” Alice corrected herself. “Well, what is the song, then?” said Alice, who was by this time completely bewildered. So the name of the course is called “Five languages in five days,” but the course actually is Five languages in four days. But actually it’s more than five languages. Got it? Anyway, we successfully completed the course a few hours ago, having explored Norwegian, Esperanto, Turkish, Ancient Greek, and a fifth language chosen by each pair of students. 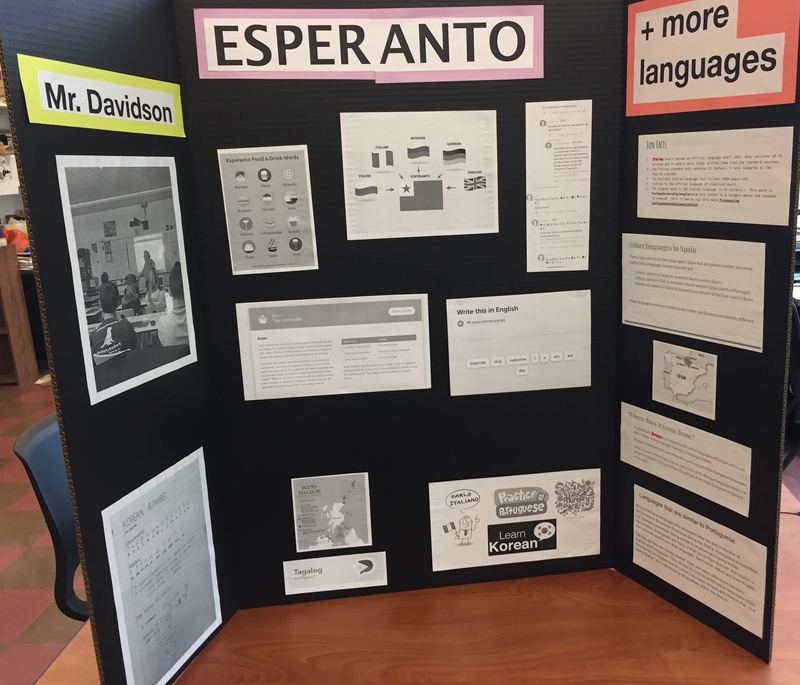 (The chosen languages were Basque, Italian, Kichwan, Polish, Portuguese, Quechua, Russian, Scots, and Tagalog!) In addition, we had guest appearances describing Hungarian and Korean. Quite a variety! ‹ William thinks he’s a hamburger.